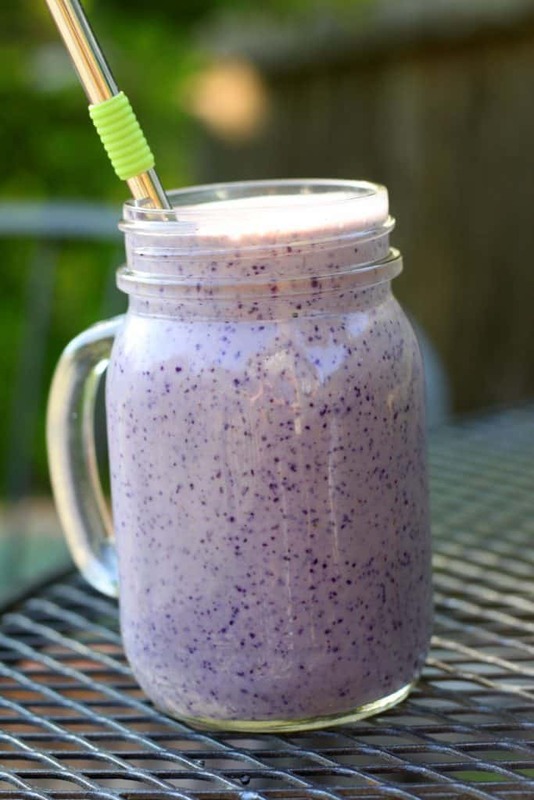 This blueberry protein smoothie is my absolute favorite breakfast smoothie and I make it multiple times per week. I love that it gives you a big double whammy of protein from both the Greek yogurt and the protein powder. 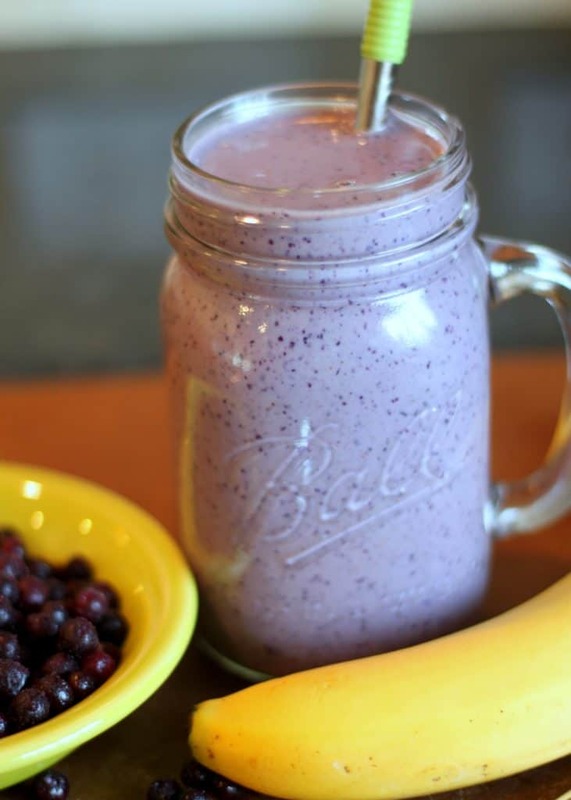 For this recipe you’ll need one banana, frozen blueberries, unsweetened almond milk, non-fat Greek yogurt, and protein powder. 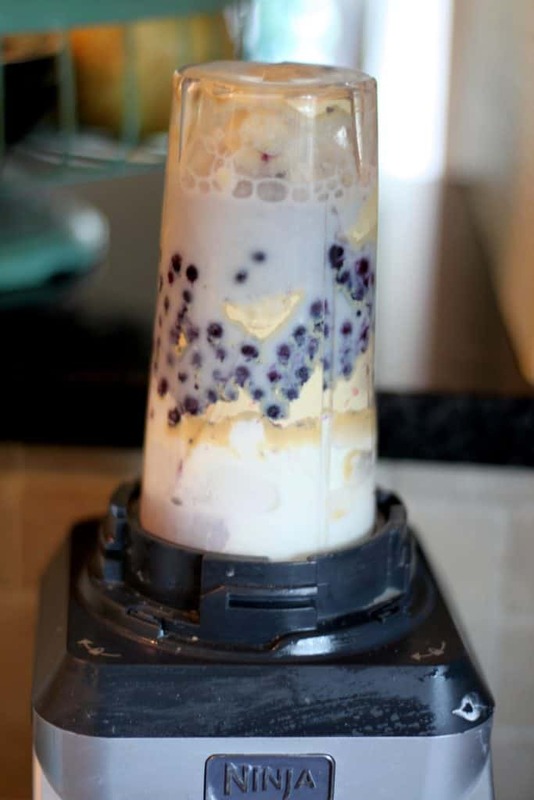 I use a Ninja blender that also makes individual smoothies in a single serve 16 ounce cup. You of course can just put your ingredients in a regular blender if you don’t have this blender attachment. Cut the banana and put into the bottom of the blender cup. 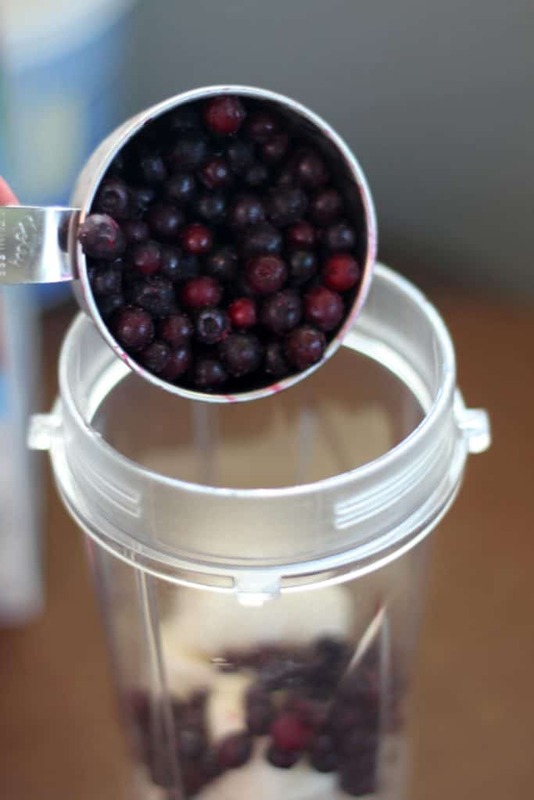 Add in 1/2 cup of frozen blueberries. Add 1/2 scoop of your favorite protein powder. 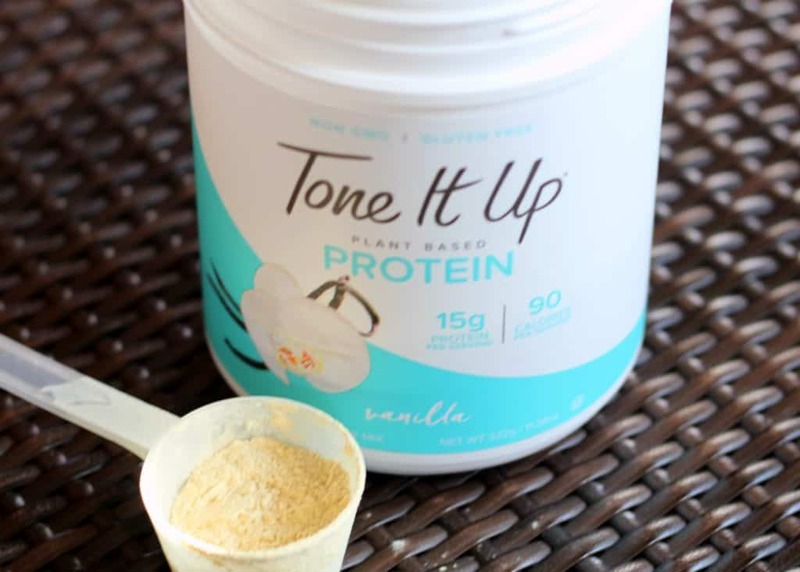 The Tone It Up vanilla is my personal favorite and small tubs are now sold at Target (no affiliate link for either, just giving my input)! It used to be available only available online. 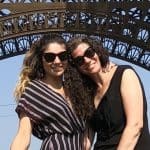 I personally love it since it’s organic, plant-based, sugar-free and gluten-free. Add in 1/3 cup of non-fat Greek yogurt (my favorite brands are Trader Joe’s and Chobani since they are thick and high protein). Pour in 1/2 cup of unsweetened almond milk. 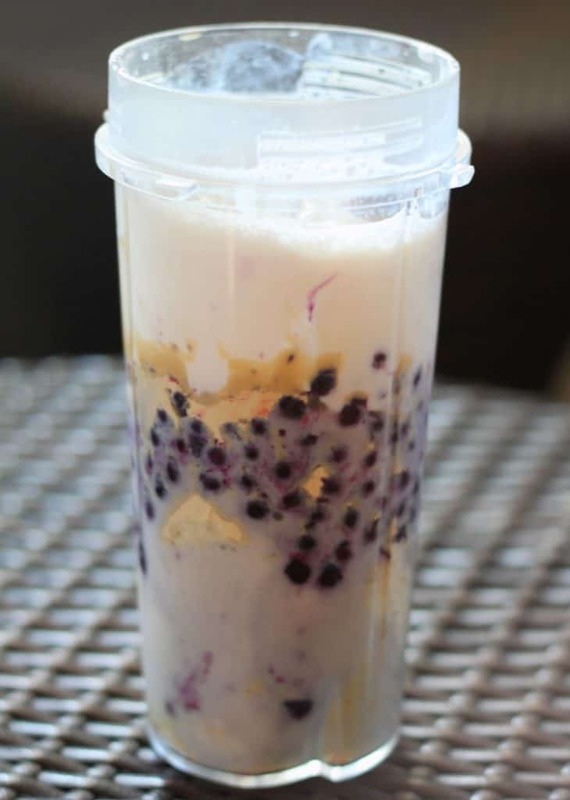 Attach to the blender base and blend until all ingredients are liquefied. 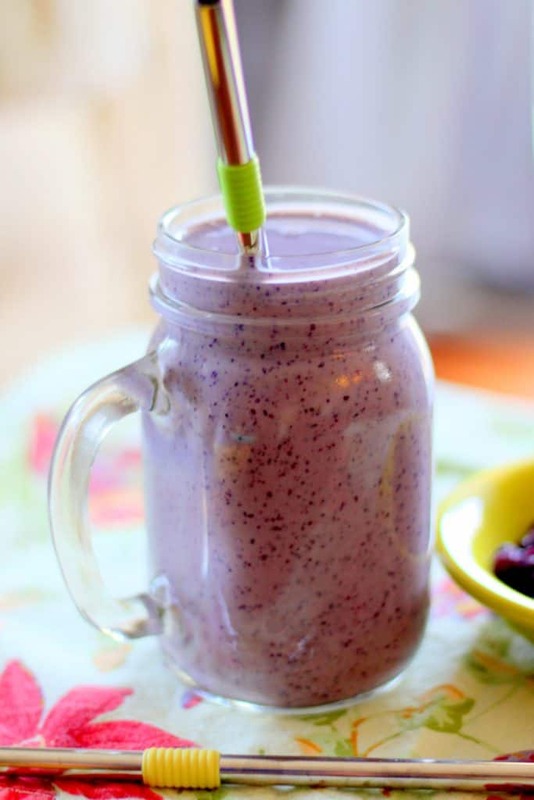 While I love my to single serve blender cups, the smoothies also fit perfectly into a cute mason jar glass or any 16 ounce cup you have at home. I also love these reusable heavy-duty straws since they have a small spoon at the end, so are perfect for smoothies, root beer floats and other desserts where both a straw and spoon are needed. 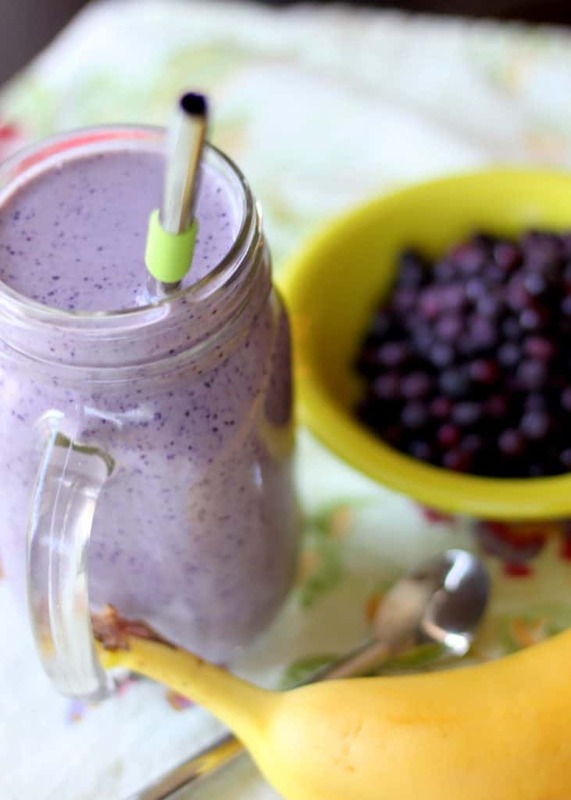 A fruity and healthy smoothie that's gluten-free and sugar-free! 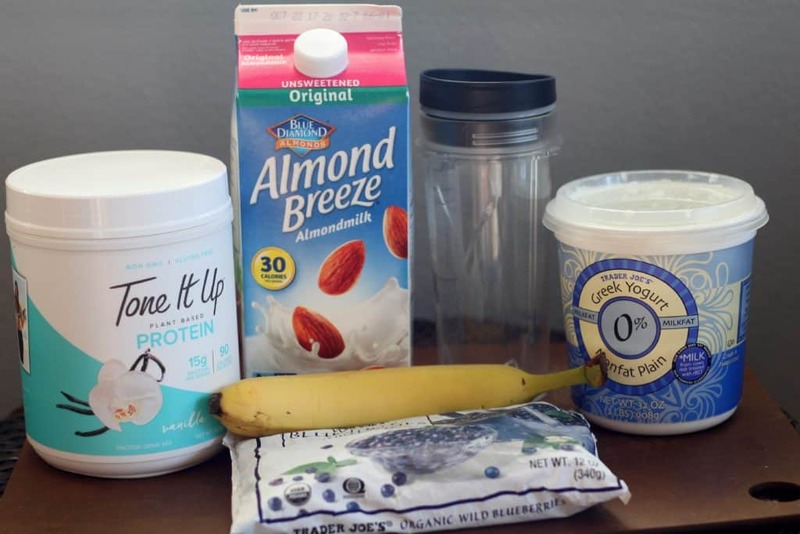 Perfect for either breakfast, snack or post workout. Cut up the banana and add to the blender. Add the remaining ingredients and blend until smooth. Enjoy!